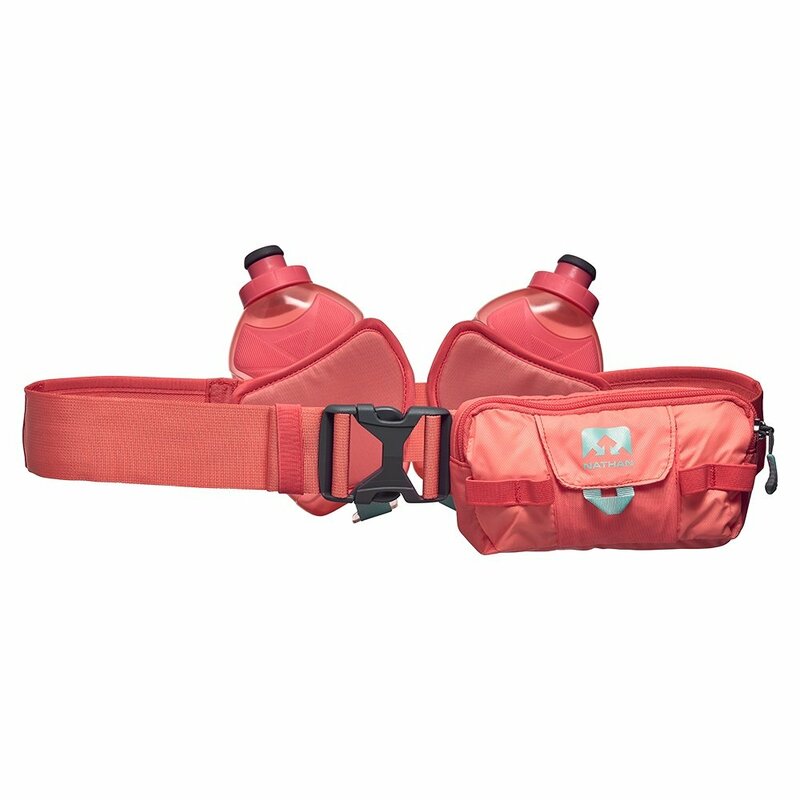 Don't forget to keep hydrated with the Nathan Switchblade 24oz Hydration Belt. It comes with two 24 oz SpeedShot Flasks inside adjustable holsters, so refreshment is always close at hand while the large main pocket gives you space for your cell phone, energy gels, or whatever else you need to bring along. Adjustable for a bounce-free fit this belt won't weigh you down and makes sure your performance never suffers because you don't have what you need with you.